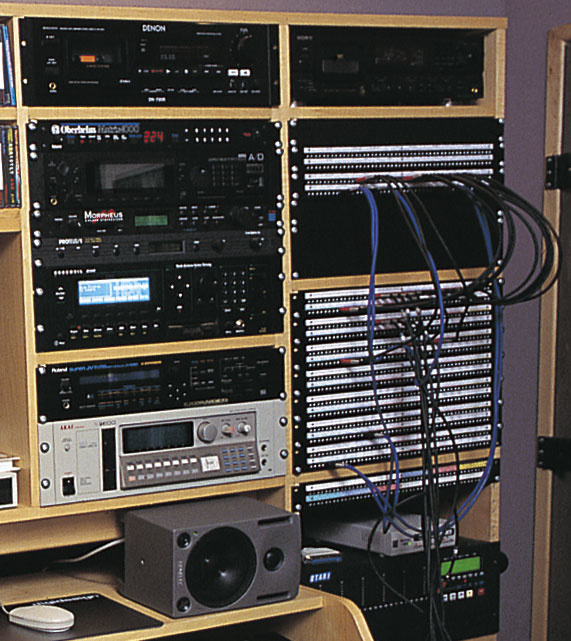 I am currently setting up a home studio, which I'm hoping to eventually turn into a professional facility, based around a Soundtracs Topaz desk, three Egosys Wamirack soundcards and a Pentium 4 PC, with numerous synths, samplers, effects and other outboard gear. I'm now looking to wire everything together using patchbays. Bearing in mind that my console does not accommodate balanced outputs and insert points (the only balanced connections on the console are at the input stages of all channels and the effects returns), can I use unbalanced patchbays, thereby simplifying the patch lead requirements? If you are going to suggest a balanced patchbay setup, could you describe where to connect and disconnect the ground/screen connections to avoid ground loops. Installing balanced patchbays (as opposed to unbalanced ones) makes dealing with hum much, much easier.Reviews Editor Mike Senior replies: It sounds like you've already invested a good deal of money in the gear, and there's certainly enough there to produce high quality audio. However, if you're going to retain audio fidelity with so many pieces of equipment working together, I would try to balance as many of your analogue audio cables as possible. 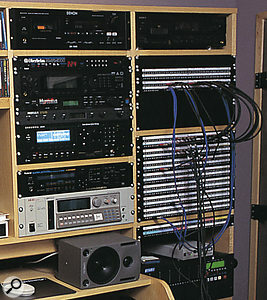 Even in my more modest home setup mains hum and induced noise are problems (which have taken upgrading to balanced connections to sort out), so if you're ever hoping to use your studio professionally you don't really have a choice. Even in commercial studios a lot of time can be spent dealing with hum, so it's worth planning for it now, in my opinion. Unbalanced connections are fine for a smaller setup than yours, but, at the stage you're at, I reckon it's a recipe for disaster. The great thing about balanced connections is that lifting the earth connections between equipment to break earth loops is comparatively easy — just disconnect the earth wire at one end of the signal cable — but with unbalanced gear the same trick very rarely works in practice and will often make things worse. If you're wondering how to decide where to make this disconnection in your system, Mallory Nicholls suggested that his preferred method was "to connect cable shields at equipment outputs and not at equipment inputs" in his Studio Installation Workshops in SOS September 2002 and November 2002. So, disconnect the shield just before it reaches the equipment inputs. If you're using any moulded cables, then you might have to perform some modification on the patchbay, but this is not usually too difficult to work out — it's what I did, and it's worked very well so far! To incorporate any unbalanced devices within the balanced system, you have two main choices: unbalance at the input to the unbalanced device — connect one of the balanced signal wires to the jack sleeve, along with the earth wire, and don't disconnect the earth wire elsewhere — or use a balancing transformer to do the interfacing. The second solution is more costly, but may be the only way to solve any hum problems which the first solution may create. Maybe you'll be lucky and not get any appreciable hum using the first system, but if you do get hum then have a look at the Ebtech Hum Eliminators — there's an eight-channel one for £295 which would probably isolate enough connections to sort remaining hum problems out. I've only needed to use a two-channel one to sort out a persistent hum in my system, but yours is much more complex, and all of it will be connecting to the central desk, which multiplies the potential for hum.